NWChem is a suite of computational chemistry tools that are scalable both in their ability to treat large scientific computational chemistry problems efficiently, and in their use of available parallel computing resources from high-performance parallel supercomputers to conventional workstation clusters. You must use GNU make with a version of at least 3.71. Set the environment variable, NWCHEM_TOP, to the top directory of the NWChem tree (where *this* file lives), and change to the source directory e.g. NWchem doesn't believe in autoconfiguration. Instead it has a collection of alternative makefiles. Fortunately this includes LINUX64 x86_64, also for PGI and Intel compilers. ARMCI_NETWORK must be defined in order to achieve best performance on high performance networks, .e.g. 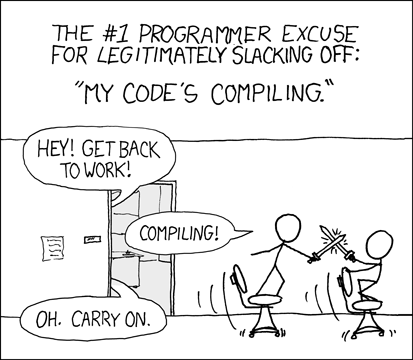 MPI variables are needed to compile. Use MPI bindings, use fortran bindings and integer*4 fortran-bindings of MPI. export LIBMPI="-lmpi_f90 -lmpi_f77 -lmpi -ldl -Wl,--export-dynamic -lnsl -lutil"
Note that we're using the (currently stable) version of OpenMPI. Include the NWchem modules and make the suite. This will take "a while". Have a coffee and a round of Conquer Club. This should install the executables and libraries into a platform-specific subdirectories in the directory tree. These should be put somewhere more sensible; and made available. Also make and copy data directory information; make that available too. Also create a .version and .whatis file as appropriate for modules. Finally create the default .nwchemrc in /usr/local/nwchem/6.3.2/ with the following content.